Last year was a huge success, so we’re putting all our blogging weight behind our #FoodBankAdvent campaign again this Christmas. It’s the most wonderful time of the year, or so the song goes, and plenty of us are accordingly gearing up to enjoy the indulgence and enjoyment of the season. However, with fourteen million Brits living below the poverty line, it will be anything but festive for many. As much as we love to indulge ourselves in December, the festive period should be so much more. That’s why members of the UK Money Bloggers community are once again joining forces to run #FoodBankAdvent. The idea of a Reverse Advent Calendar is to support our respective local foodbanks as they prepare to witness huge spikes in demand and encourage you to take part too. So, as it’s the season of giving as well as receiving, why not join us? You know the drill with a normal Advent Calendar. Starting on 1st December, and ending on Christmas Eve, you get to open a little box each day, and enjoy a special festive treat. However, with a Reverse Advent Calendar you give the reward on each day of Advent. By reward we are talking about collecting a food item a day and putting them all together to create a special parcel which can then be donated to your local foodbank. 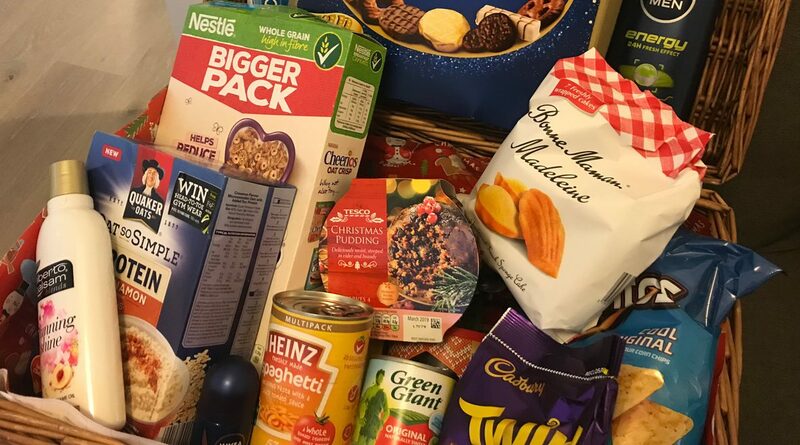 Before you start to fill up the parcel with all of your favourite things, please do have a read of The Trussell’s Trust’s What goes in a food bank parcel to see the sorts of things that you can add in. Tinned and dried food are usually the most preferred, as items ideally need to have a long shelf life. If you look on your local food bank’s website there may even be a list of what they most need. Quick tip, as well as providing food, you might want to consider also adding in some toiletries, especially expensive feminine hygiene products which are often desperately needed. There are a fair few festive movies that show our heroes dropping off packages for people in need on Christmas Eve, and while this is always lovely on screen, it’s not exactly reality. If you want your donation to be used in time for Christmas, make sure you start collecting in November, and get it across to your local food bank in early December. Getting donations early gives food banks time to sort through the items and get things to where they are needed most. If you love a bit of tradition and prefer to collect during the traditional Advent period itself, then do be rest assured that your parcel will also be very welcome in January. Want to join us? Then get social! It’s not just money bloggers who are doing this – anyone can! If you’re planning to join in the reverse advent calendar event this year, then why not make it a social affair and put a photo of your parcel on Facebook, Instagram and/or Twitter, using #FoodbankAdvent to encourage your friends to do the same? You can also see what your favourite money bloggers are up to on their blogs, and get some ideas from what they donated last year. The sheer number of people living in poverty in Britain clearly tells us that some serious long-term action and commitment is needed to really provide these people with a genuine solution. Reverse advent may not solve everything, but it does give us a chance to all do our own little bit to make sure one less person goes hungry this festive season.